Fortnite Season 7 is almost over, but you’ve got one last chance at some challenges. Because of the winter break, Season 7 of Fortnite is a little longer than previous efforts. To plug the gap Epic Games has released the Overtime Challenges as part of the Share the Love event. 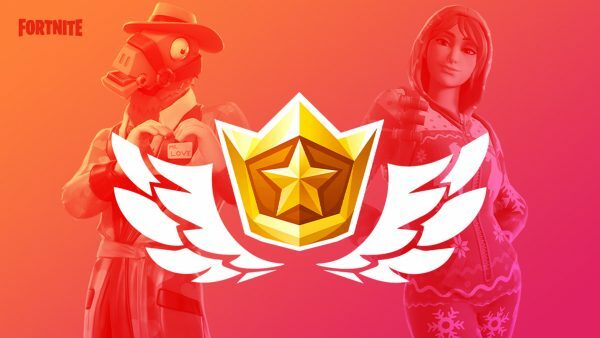 The Overtime Challenges run until February 27 and if you manage to complete 13 of them you’ll be rewarded with the Season 8 Battle Pass, as well as the outfits from this season’s pass. There are plenty of rumours circulating about what we can expect in Season 8 and you can follow the latest teasers here. The most obvious place to complete this challenge is the racetrack that’s north of Paradise Palms. In the main building you can find plenty ammo boxes, as well as a couple of chests most of the time. 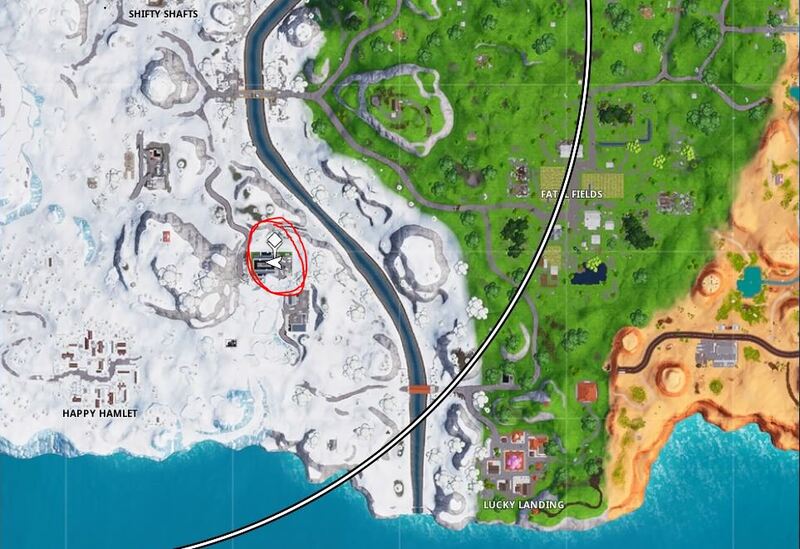 As for a dance club, you need to head to the northeast of Happy Hamlet – where the second area of Flush Factory used to be. Here you’ll find the Dance Club in the north of the area. Alternatively, you can head over to the abandoned mansion south of Lonely Lodge and search the whole house! This counts as a dance club because of the floor in the basement. Personally, I’d recommend the mansion since it’s not as obvious and there will probably be fewer people there. While we’re at it though, let’s take a look at the rest of the Overtime Challenges. There are still a few more challenges to be released, but you only need to complete 13 of them to earn your Season 8 Battle Pass. 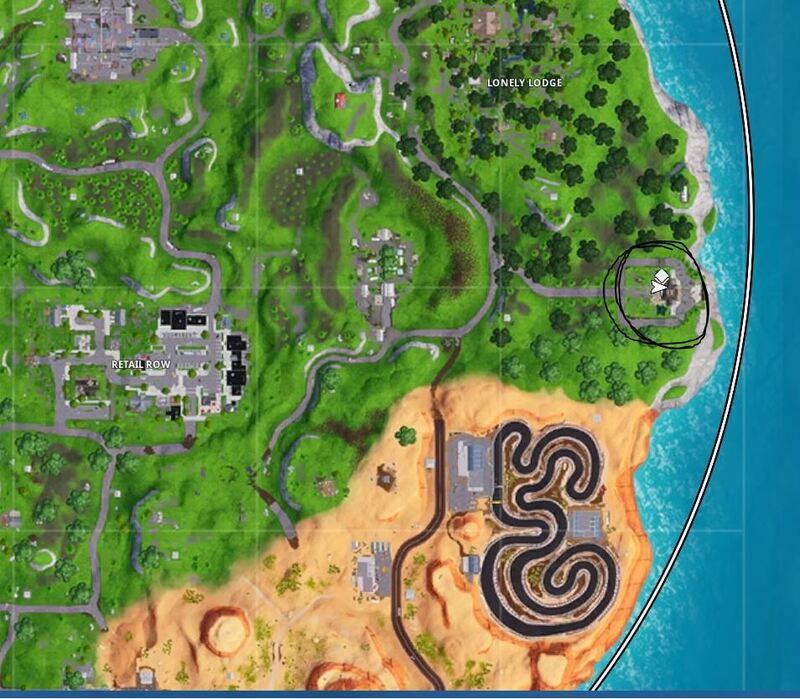 You can find the Motel Northeast of Pleasant Park and the RV park Southwest of Lonely Lodge, highlighted by the orange circles on the map. 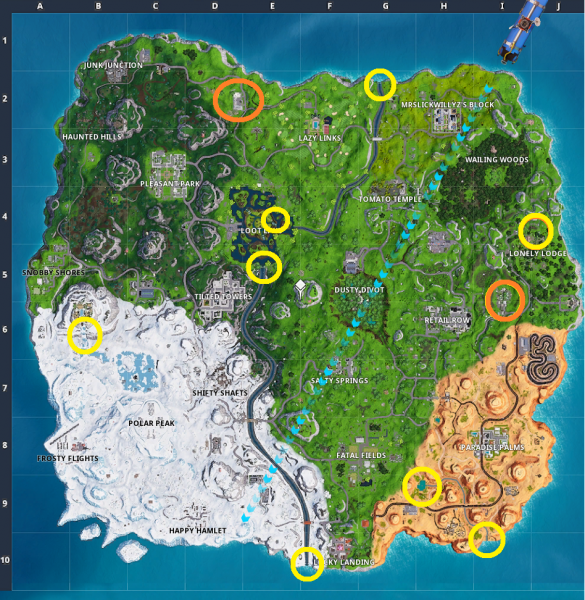 The yellow circles show where you can find waterfalls to complete the latest challenge. The Southernmost point of the map at Lucky Landing. Near the centre of Loot Lake. The North end of the river that runs through the centre of the map. Search between a mysterious hatch, a giant rock lady and a precarious flatbed. The post Fortnite Season 7 Overtime Challenges: Dance Club, Racetrack, Waterfalls appeared first on VG247.